I was never one of those people to believe the hype of weight loss and nutrition products. That is, until I discovered MateFit. I kept seeing MateFit everywhere and on every social network. I looked into and saw that it was a teatox. I completely brushed it off because I have never been a fan of tea . I hit a really low point in my journey to be healthier and decided to look back into MateFit. 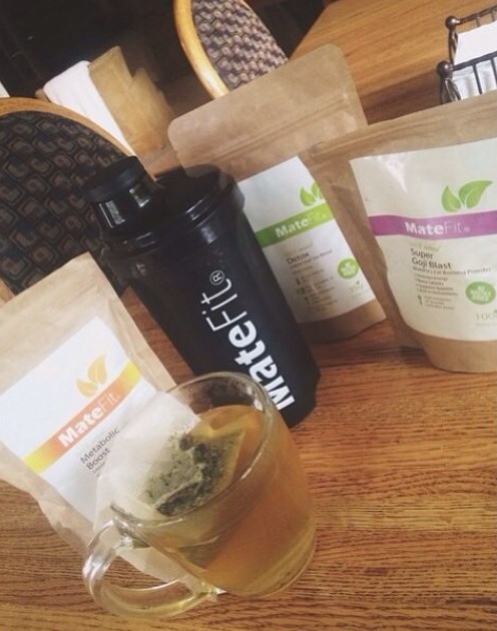 Each and every MateFit review seemed to give positive feedback, so I decided to purchase the 14 day detox. The detox included a pouch for the metabolic boost and a pouch for the night time detox. Within the first couple days I felt a change. I was getting all natural energy while also increasing my metabolic rate. I was hooked after the first two weeks. I went from waking up and drinking a soda to start my day, to simply drinking a glass of tea. After the 14 days were up, I weighed myself and was down seven pounds! I couldn't believe how much drinking tea had changed my life. I am not a consistent buyer and own every single product they have. From the teatox, the goji blast, and even the coffee scrub. I'm glad I decided to believe the hype and take a chance on something that had helped me with my journey to a healthier lifestyle. This is a post by PumpUp member jennipher_.